Good day I’m Jo Ann Johnson. I am a member of your parish council and would like to invite you to help us create the most friendly and vibrant parish around. This will be one of the goals of the Hospitality and Fellowship Committee. Socializing and creating a welcoming environment is an Important way to grow our faith in our community. As a member of this committee you would be asked to bring ideas and positive energy that will forward the idea of a fun place to worship is part of being Catholic. There are already parishes that have developed this program very successfully. We will use some of these examples to get started, but this is our parish and we will want to tailor our programs to fit our needs. So we turn to our congregation and ask that you to consider using your talents to enhance our parish life by signing up for the Hospitality and Fellowship committee. Sign-up sheets, name and numbers of people who can answer questions you may have about making St. Francis parish a joyful place to worship will be available at the rear of the Church. Well, my mother got her wish. I am finally behind a pulpit. Hello my name is Jim Brusatte. I am a member of the parish council. These few weeks we are talking to you about our plans to share God’s love with our fellow parishioners and others. What an opportunity to enrich our spiritual life and to extend our Christian hands and values in this world. I am today reminding you of another parish committee. I am co-chair with Dr. Germain Gonzalo of the Stewardship and Justice committee. You know, I love seeing all of you on Saturdays and Sundays. That’s important. Sitting in the pew, though, I often think what more can I do when I leave this building. How can I live my faith and make a positive impact on the life’s of others? Admit it. Doesn’t it feel great when you help someone. It’s then we touch God. Like our Patron Saint Francis says “It is in giving that you receive”. 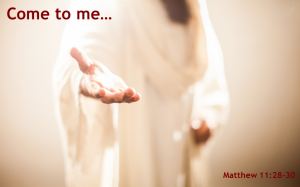 One of my favorite gospels is in Matthew when we appear before Christ. Christ says you saw me when you fed the poor or visited the sick, etc. How true. Here is our chance. Furthermore, these activities can be rewarding and fun when we engage with others to help others. This work can allow us to do what Pope Francis asks. Get out, get involved, live our faith, help and share our God. In the end you will be richer and happier for it. I know time and circumstances limit all of us. We are reluctant to get involved. But remember you do not need to carry the load. This is a group venture. You can put in what time and effort you wish. If you wish to think about it, do so. There are sign up sheets at the doors or you may contact myself, Dr. Gonzalo, or the parish. Let’s get our hands dirty doing God’s work. Let’s be sowers and reapers. In July we jokingly spoke of sending St. Francis parishioners all around LaSalle County to spread the Gospel as compelled in Jesus’s directive “Go out into the world and spread the Good News” The Committee for Evangelization and Catechesis recognizes that we are not St. Paul or the apostles or modern day TV evangelists or Mormons. We are, however, under the same directive. We are probably called to be more like Mary and Martha, like Peter’s family, like Andrew’s cousins. We will fulfill our evangelistic duty by supporting those more outspoken. The apostles must have had people supporting them in their travels as they evangelized the world. To that end we wish to monetarily support those in position to actively evangelize in words or action. TWICE a year we will have a special collection whose monies will be given by St. Francis to support ministries showing Christian principles. The Ministry will be voted on yearly by YOU. TEAR OFF THE MINISTRY AT THE BOTTOM OF THIS PAGE YOU VOTE TO RECEIVE 2016 SUPPORT AND PUT IT IN TODAY’S COLLECTION BASKET. The favored ministry will be announced next week. The 1st special collection will be Nov.28/29. Hello, I’m John Emmert and I’m here to speak to you about our Parish’s new Ministry of Evangelization and Catechesis. CATECHESIS is simply learning your faith. You learned catechism as a child. The committee is supposed to find ways for you to refresh what you learned from Sister Mary Agnes in grade school and deepen that knowledge. Pope Francis and Bishop Jenky are challenging Catholics all over the world to be a part of spreading the message of the Gospel and the beauty of the Catholic faith. Paul was an evangelist. So were Mathew, Mark, Luke and John. So were all the apostles. By the way, most of them were martyred. So how are we, here at St. Francis, in 21st century Ottawa, supposed to carry out Jesus’ command to evangelize? Fr. Tony (Kassa) wants to pair you up(2×2) and send you all over LaSalle County, alla Jehovah Witnesses and the Mormons. If they can do it so can we. If you sign up for the committee you can control not only your partner but which areas of the county you will cover. Choose wisely and you might avoid martyrdom on the South Side. OKAY,OKAY He doesn’t really want to send you door to door spreading the faith and become martyrs. I made that up to see if you were listening. We do, however, have to find ways to help you in your call to evangelize. That is the purpose of the Committee on Evangelization and Catechesis. Find ways to evangelize. Please consider volunteering to be a part of this Committee for Evangelization and Catechesis! You can leave your name and contact info on the clip boards at the doors or call the rectory and leave the info with Suzy. We need your input on HOW to increase your understanding of Catholicism and HOW we are to evangelize in 21st century Ottawa, IL. If the committee doesn’t come up with ideas we might have to revisit the door to door assignments idea of Fr. Tony(Kassa). After all, Jesus didn’t say “Go into the world and spread the Good News” IF YOU FEEL LIKE IT.